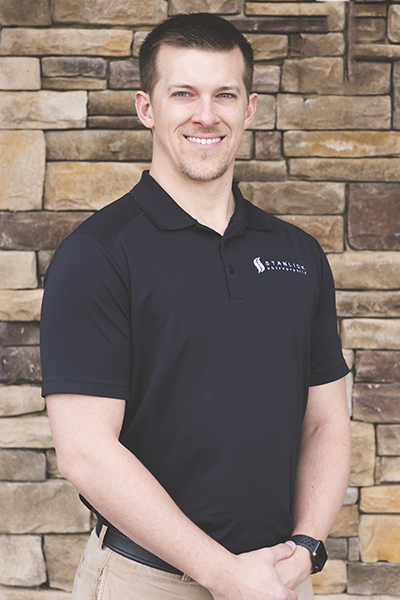 Ever since he was a child, Dr. Bills has had the desire to help others, and it wasn’t until a roommate in college introduced him to chiropractic that he found his direction. Ever since then he has had a passion for changing lives and helping others live life to the fullest. He believes relieving pain is just the beginning and by restoring and maintaining optimal health, we can change the future landscape of healthcare in the community. He loves treating athletes, injuries, families, and children and believes it is easier to raise a healthy child than fix an unhealthy adult. Dr. Bills is a graduate of Life University College of Chiropractic in Atlanta as well as MTSU, and he loves being back in the Murfreesboro community. He is an active person who enjoys sports, UT football, being outdoors and playing golf. He loves spending time with his wife, two children, and four dogs.